Five people have been arrested over yet another investment scam, with police alleging the defendants defrauded more than $30 million over three years from unsuspecting Australians. 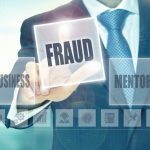 The investment fraud syndicate allegedly worked on a cold calling system between 2012 and 2015, ripping off around 2000 Australians. The arrests are the culmination of a two-year long investigation involving police, the Australian Tax Office and the Crime and Corruption Commission, as well as the Office of Fair Trading and Australian Securities and Investments Commission. Police allege that those arrested were either principal players behind the fraud or involved in the laundering of the proceeds. 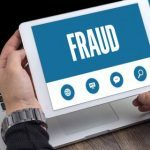 The scam is reported to have involved high pressure sales tactics, offering investors incredible returns on share market investments via a computer software package. Contact was made with victims through telephone cold calling and was supported by bogus websites containing fake information about the companies and the products on offer, as well as online publications to support the company story. 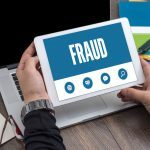 Police have called the scheme a “highly sophisticated fabrication” with the online publications working to mitigate any negative publicity and to “managing the credibility brand” as the scam evolved and negative stories began to circulate. Most of the people working at the lower levels of the organisation were unaware they were participating in a criminal enterprise. They were simply employed to sell the computer-based formula which promised to inform people which shares to buy, as well as when to sell. It foreshadowed returns of 16-18 % per month and offered a 100% money back guarantee. However, by the time people were calling in for refunds, the existing company would be wound up and a new one established in its place. Despite being based in South-East Queensland, the scammers targeted people right around the country. Police say that company names used by the syndicate include ESL, Eurosoft, OWS, OW Sydney, One Wealth, GTA, GlobalTech, GTA Australia, GT Australia, GT Alliance, TRP, TRP Solutions, Thorne Roberts Price and Thomson Rowe Partners. “This has been a complex and protracted joint-agency investigation. We believe more than $30m over a three-year period was extracted from victims across Australia”, Acting Detective Superintendent Peter Brewer, Financial and Cyber Crimes Group explained. “These types of scams are often very professional and convincing. People need to be aware that cold calling in relation to financial products of any description is illegal. 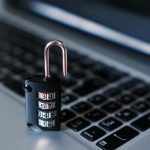 Even if a person holds an Australian Financial Services Licence, we recommend seeking independent financial advice before committing to anything,” Acting Detective Superintendent Brewer said. While Police say they are still following the money trail, most people who fell for the scam lost around $15,000. Some victims lost as much as $40,000. The five people arrested are facing fraud and money laundering charges.